Most of the folks that attend my seminars represent sole proprietorships or family-size businesses. Based on the feedback I get before and after my talks, I sense that many auctioneers feel unable to keep up with the growing media landscape. In particular, they tell me they don’t have the time, energy, or expertise to manage their companies’ accounts for Facebook and other social media. Auctioneers aren’t alone in this. Many small business folks struggle with this important part of the operation. To capitalize on that great need, a bevy of startups and major corporations have created automated marketing tools and programs. Constant Contact will post your email content on Facebook. Hootsuite will publish free to up to five of your social streams with one click of the Autoschedule button. ZipRecruiter promises to reach hundreds of sites and post to social media for you—with one click. These automated services deliver on their promise of ease but can’t and usually don’t promise efficacy. They’re wise not to promise that, too. The current social media landscape makes robo-posting incredibly less valuable than native interactions. 1. Organic reach is a thing of the past. Most automation tools focus on posting on your behalf and assume that your followers will engage because they follow your brand. That assumption is optimistic at best, especially on Facebook where less than 5% of your Facebook fans see your unpromoted posts. Just posting isn’t enough anymore. 2. Each media has its own culture. Facebook, Twitter, Instagram, Pinterest, Snapchat, YouTube, and email each operate in different ecosystems with different formats, different purposes, and different audiences. Savvy marketers leverage the unique characteristics of each medium and adapt their messages to each. They know that the same statement auto-translated in all languages at once will inevitably cause part of your message to get lost in translation. 3. Targeting and measurement is platform-dependent. Automated posts can’t be targeted, tracked, or analyzed like native posts can. Almost every business needs to reach new customers—people who have not yet done business with them or engaged with their social media accounts. To reach those people and to more efficiently interact with more of your ideal customers, you need the native platform tools. 4. Authenticity is more attractive. The best social media marketing is less about broadcasting and more about providing something for the viewer. That could be entertainment, a solution to a problem, or something for their wish list. Social media users can tell when a message is generated for multiple platforms at once, and that content looks less organic, less personal. 5. Customer service can’t be automated. While immediate responses can be set up with autoresponders, full problem resolution typically works only with communication between two humans. With Facebook’s immutable rating system and with hashtags making social media instantly searchable for negative reviews, it’s more important than ever to monitor and address the concerns from social media in person. You have to go where your customers are. When auctioneers and small business people used to tell me they don’t have time for social media, I told them to just skip it altogether. I can’t do that anymore. 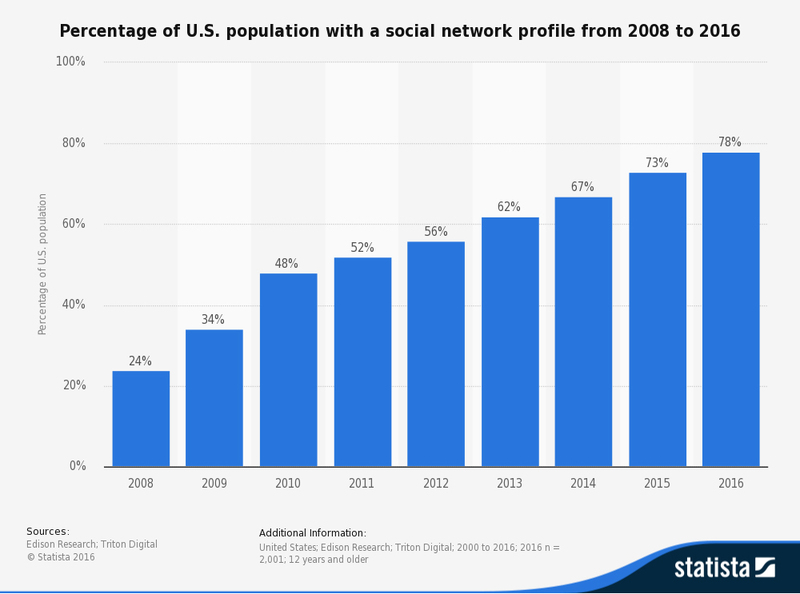 78% of American adults are on social media. Infodocket claims that one out of every five page views on the Internet are on Facebook. With lookalike audiences and tracking pixels—both of which are free tools—small businesses can find new customers like no time in human history. So, the bad news is that you need humans running your social media. The good news is that there are fantastic resources to train you or your staff how to do it—not just to make sense of it but to thrive with it. You can find a lot of tutorials for free or cheap online. You can find education tailored to the auction industry in the Auction Marketing Management designation, too. I volunteer to teach in that environment (and pay my own travel expenses), because I strongly believe that targeted marketing and adapting to cultural trends is what will keep my clients and companies just like them in business—if not thriving in their marketplace for years to come.